Spread the word in your organization and with your friends. We will be making the Connection Storymaker app available for free download this Thursday and Friday in association with a few workshops we’re running — so you can download it for free, too. FREE STORY ASSISTANCE. 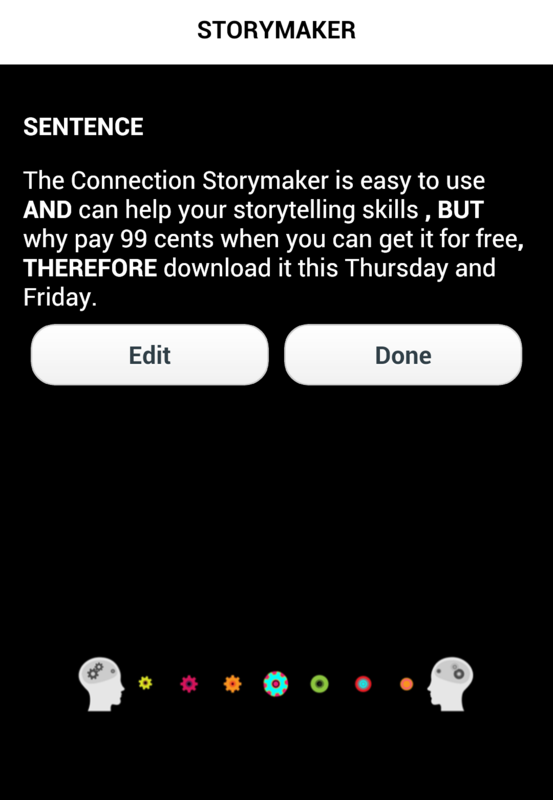 Go to the App Store on Thursday and Friday to download our new Connection Storymaker App for free (though it’s still 99 cents for Android at Google Play since we can’t change the price there). I know this seems like a lot of hype and self-promotion, but trust us — the app is very cool and easy to use. We’re getting lots of great comments from people putting it to work – including an email from a grad student in Sweden this morning who wrote his comments in ABT form. That is the quickest way to our hearts.